Electronic Arts announced today that the demo for their upcoming Skate 3 would touch down on both the Xbox LIVE Marketplace and PlayStation Network on April 15th. Skate 3, the full product, will be released on May 11th. A little over a year ago, we reviewed Bigfoot Networks Killer M1 network interface card, giving it some high marks for the performance gain in many of our favorite online/multiplayer games. However, one thing that always bothered us about the unit was that it’s high price point did not really necessitate purchasing it when, for just a few dollars more, you could pick up a new CPU instead. Bigfoot Networks has learned from their experiences with the previous products and recently released the Xeno line of network interface cards. In this review, we will focus on their Xeno Pro NIC. Unlike the Killer M1, the Xeno utilizes a PCI-E interface, making it able to be a lot smaller than the previous unit. Gone is the blade-like heatsink, replaced by the Killer emblem on the NPU (Network Processing Unit). The card measures 4′ x 4.5′ x .75′ and weighs only 4 oz. The back of the Xeno Pro features not only a LAN cable port, but also a USB 2.0 port, 3.5mm headphone jack and 3.5mm microphone jack. * Weight: 4 oz (115 g). Installing the card into an available PCI-E slot is relatively simple provided you have done such an operation before. Your PC case may have a proprietary locking system on the card bays, so be sure to check your case manual for how to insert new cards into the motherboard. For those of you with experience, you will have the card physically in the mobo in a minute or two. From there, just plug in the cables to the back of the unit and turn on the PC. 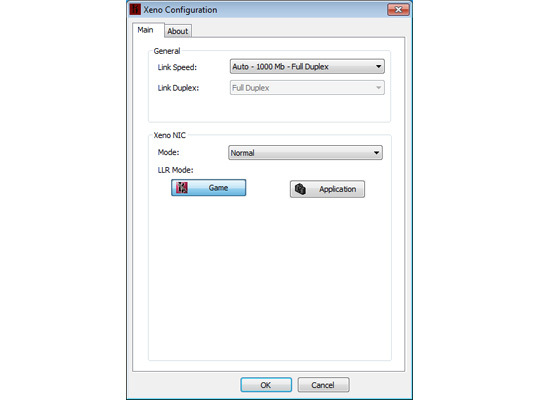 Once on, you insert the included software disc and install the Xeno Pro software/drivers. The basic Xeno Pro software package is very similar to the one that shipped with the Killer M1 NIC, featuring an straightforward layout with the controls to prioritize various applications and games in the network stack, as well as simply turning the card from ‘Application’ to ‘Game’ mode, in case you just want to keep things generally-simple. There is not a lot of help though when using the software, though, which would make things a lot easier for less-experienced users. 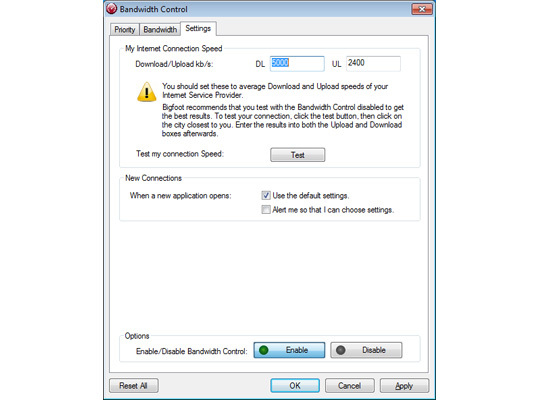 One such feature is the ‘My Internet Connection Speec’ setting in the Bandwidth Control app. Unless directed, you could completely miss setting the average upload and download speeds of your connection. The software uses these figures in its calculations and, if not set properly, you could actually hinder your connection! An optional piece of software that I cannot, as a Xeno Pro user, recommend downloading enough is the ‘Dashboard’ software, which features an array of very useful network monitoring tools. It easily allows you to monitor UDP Offload, Ping, CPU Load, and graphical Frames Per Second. This makes benchmarking the card a heck of a lot easier for everyone, and the results will be readily available when you need them – especially the UDP Offload. There is actually no way to test for UDP Offload without a third-party as UDP packets require no ACK packets sent in return with which to measure. When running the Dashboard software, it utilizes Bigfoot Networks servers to calculate your estimated offload. For our testing, we chose four different games: World of Warcraft, Team Fortress 2, and Call of Duty: Modern Warfare 2. The Bigfoot Networks Dashboard software was used for benchmarking purposes, although we cross-referenced the FPS ratings with ones taken in FRAPS as well for verification. Each test was done in three iterations both with and without the Xeno Pro, over a period of five minutes each. It is worth noting that Bigfoot Networks allows users to take advantage of the fact that they basically have a whole separate computer system on the PCI-E card to actually run applications on it. This adds an additional level of benefit to owning one of the cards, as it can run specialized versions of applications like TeamSpeak and Skype without affecting your main system’s performance. Also important to note is that the Killer Xeno Pro features a full-fledged firewall solution, which has the benefits of a software firewall in terms of flexibility, but also backed up by the hardware of the card itself – a ‘best of both worlds’ solution, if you will. While our results show that the Bigfoot Networks Killer Xeno Pro NIC does improve UDP performance, we are left wondering if gamers will shell out the extra cash to buy the card on its own when most motherboards these days already come standard with internal network cards. 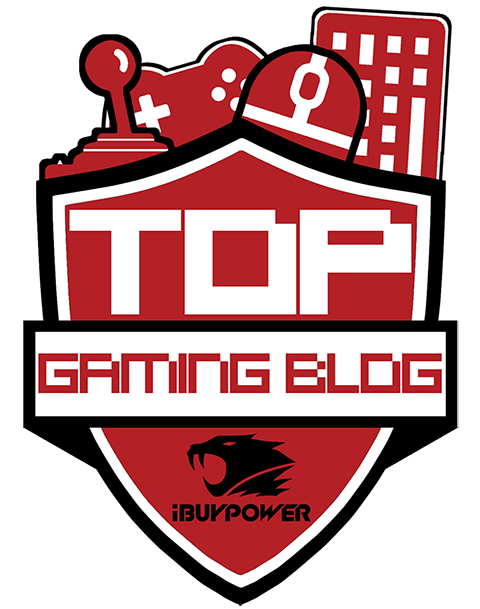 Thankfully, three things should help gamers decide in Bigfoot Networks’ favor – the fact that they have joined forces with system-builders such as Alienware, Dell, and iBuyPower to allow the card to be installed at the time of system configuration/purchase; Also, the card recently fell in price by roughly $30 dollars. Its new $99 dollar price point means that it is finally reasonable enough for gamers to want to pick up, even on its own through EVGA and VisionTek; And, finally, you get the a really nice firewall on the card to boot. The Killer XENO Pro is a good way to squeeze a bit more performance out of your PC without having to purchase a brand-new GPU or CPU. Avid’s newly-acquired brand, Pinnacle Systems, Inc. is a long-time creator of consumer video editing peripherals. The latest in their Video Creator peripheral series is the Video Creator Plus HD, which promises to allow consumers the ability to shoot and edit video on their PCs. The first step in getting the Video Creator Plus HD system to work properly is to install the included software disk. Not only will the disk install the Pinnacle Studio HD software suite, but also the drivers for the key hardware component of the system – the DVC-107 USB video capture dongle. Pinnacle has made the installation very easy, thankfully, and after you get done with the install software, you can plug the DVC-107 into an available USB 2.0 port and let the magic begin. The DVC-107 video capture dongle features an all-white or all-black, slick plastic shell with plastic-insulated cabling that ends in a USB 2.0 plug. The DVC-107 features ports to accept both RCA as well as S-Video inputs as well as RCA (stereo) audio inputs. The peripheral is powered all by the USB connection, so there is no added RF adapter to worry about toting around. Thankfully, this makes the video capture dongle extremely easy to take with you in your jump bag. The design is pleasing to the eye as well, which makes it nothing you would be ashamed to have connected to your laptop while you edit video. Using the Video Creator Plus HD is very easy, allowing you to get video from any source which uses the accepted cabling. For instance, you can transfer over video from your VHS cassette players to digitize your old home movies. For the would-be filmmakers out there, getting video from your camcorder is equally easy, and the system takes the technical load off of you so that you can focus on actually editing your video. You can also use the DVC-107 dongle, once fully-installed, as a means of getting live video from your USB port-equipped camcorders for use in streaming video services like USTREAM. This unadvertised feature makes the Video Creator Plus HD a great solution to bridge the divide between those of us with FireWire-equipped camcorders and those of us without. The included software is very east to use, and I am not just writing that from someone who is used to software like Sony’s Vegas and Adobe’s Premiere software. Even laypersons should have no problem picking up the in’s and out’s of the Pinnacle Studios HD software. 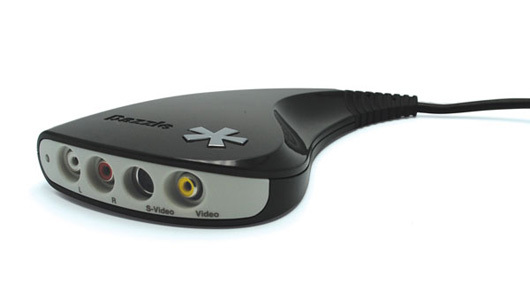 Once completed, you can then output your video back through the DVC-107 dongle or even to online services like YouTube. 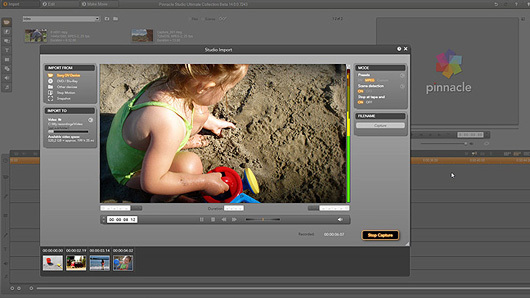 The software features track-based audio and video editing, a titler, as well as transition effects. Without taking a scientific study, I would guess that this is the most inexpensive, full-featured video editing software available. Avid’s Pinnacle Dazzle Video Creator Plus HD works exactly as advertised and then some, being a very easy way to get video from your camcorder, or VHS tape player, to your PC. Additionally, it then allows you to edit the video in the included software suite, adding transitions, effects, etc. For $89.99 on the official website, you just can’t find a better price to value solution that will do what this system can. *DISCLOSURE: Pinnacle Systems gave GamingShogun.com a Video Creator Plus HD for the purposes of this review. 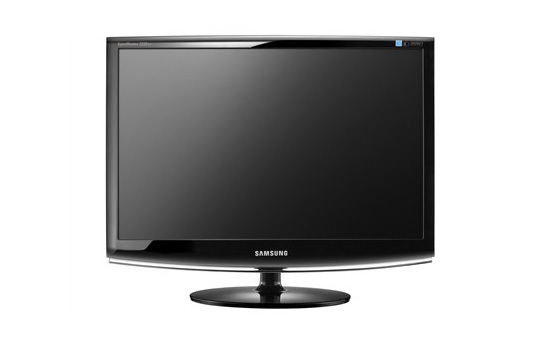 The first 120Hz LCD on the market, which is also Nvidia’s choice for bundled-monitor in their ‘3D Vision Bundle Pack’, is the Samsung 2233RZ. The monitor provides for a huge leap forward in your gaming experience, both with and without Nvidia’s 3D Vision technology, thanks to its high refresh rate. The 22-inch 2233RZ features an all-black plastic body and glossy-black base unit which simply snaps onto the the LCD panel. 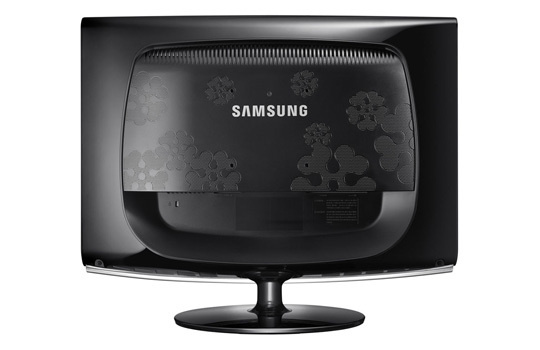 The panel is a bit spartan from the front, but the back-side features more black plastic, albeit with the Samsung flower embossing – the unit would look great on a desk in the front office. Also included in the box is a DVI-D cable (needed to get the full 120Hz – single link cables only yield up to 75Hz), power cable, and a cable sorter. Installing the monitor onto the base, as mentioned before, is simple a matter of snapping the two together. The monitor is also Energy Star compliant, so go green people! Samsung has also included their SyncMaster presets for gaming, movie watching, etc which are all easily-accessible via the panel’s control buttons which are located on the lower right area of the side of the unit. These presets make it easy to get the best viewing configuration possible without having to go through the minutiae of setting it all up yourself. After getting things connected up and the panel snapped to its base unit, the only thing left to do is to set the monitor refresh rate to 120Hz in the Nvidia control panel software. Immediately, the effect of the high refresh rate is noticeable. Even something as simple as moving your mouse cursor around the screen takes on new life – the little cursor seems to glide and is far smoother in terms of movement than it seemed in 60Hz. Also offered in the Nvidia control panel software is the ability to run the monitor at 100Hz and 110Hz, just in case any fluorescent lighting in the area is causing some flickering when using the 3D Vision technology. Starting up Left 4 Dead 2, it is very apparent that, even without using the 3D Vision glasses, games will never be the same again. In case you don’t know, L4D2 is a game where players take on hordes of the walking (and sometimes running) dead as they make their way to safe houses on the road to escaping whatever area they are in. When the action gets heated, it is not uncommon to have around 40 or more zombies on the screen at one time. On my previous display, even while playing at 1920×1200 resolution at 60Hz, the undead’s frantic movement never seemed realistically smooth – even while getting good frame rates. With the 2233RZ, this is no longer an issue – the undead move far more smoothly than before, giving the game a whole new visual quality. In fact, in subsequent tests with Crysis and even Dragon Age: Origins, everything looked smoother. 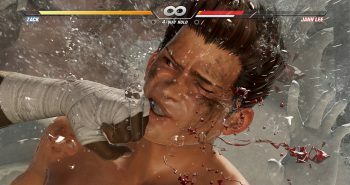 120Hz is my new refresh rate of choice for gaming – on-screen motion is just so much more natural it has to be seen to be believed. The biggest issues with the panel are its lack of an HDMI port and low native resolution. Even at 1680×1050, it would have been great to get video input via an HDMI cable. The screen is generally very crisp and I, for one, would have loved to watch some Blu-Ray disks on the unit. The second issue is that while Samsung’s 2233SW is their non-120Hz monitor offering, it supports a native resolution of 1920×1080 – while the 120Hz 2233RZ has a native resolution of 1680×1050. 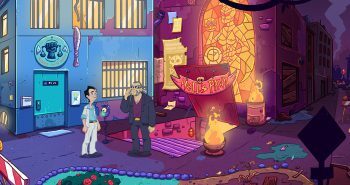 The 1920×1080 resolution is far-crisper for gaming but, more importantly, is a high-definition video resolution (as in 1080p). The 2233RZ would have blown my head right off its shoulders if it offered both of these features and would be a hands-down must-buy monitor. When moving into the third-dimension of gaming, the monitor works flawlessly with Nvidia’s 3D Vision technology. 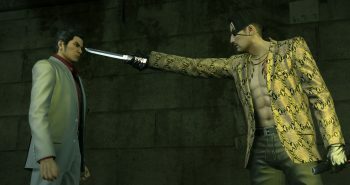 There were no issues to speak of in terms of compatibility or performance when using the 3D system. If you choose to purchase the 3D Vision Bundle Pack, you should not be disappointed. 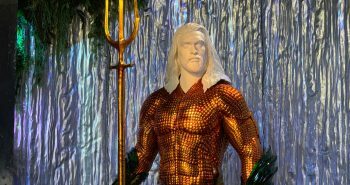 Unfortunately for Samsung, some new 120Hz displays have been released to market, from companies like Acer and Alienware, which feature larger panels, higher native resolutions, and higher dynamic contrast ratios. While this gives the 2233RZ some serious competition, one thing that the 2233RZ has over these competitors is that it is cheapest option in terms of price point. Currently the 2233RZ retails for about $300 dollars while the competitors go for at least $100 dollars more. I suspect that, at some point in the near future, Samsung will reduce the price even more to capitalize on this while eventually releasing their own, newer 24-inch 120Hz solution. The Samsung 2233RZ is a fine 120Hz gaming monitor that offers good performance at the lowest price on the market. However, it does lack some features which are present on higher-priced monitors out there, so the choice is yours as to how much these features are worth to you. 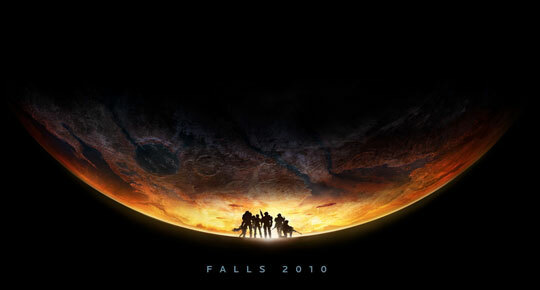 Bungie has released a new multiplayer trailer for their upcoming Halo: Reach. The new trailer features a ton of alpha footage, showing off the various gameplay modes available, including ‘Invasion’ and ‘Head Hunter’. Reach is scheduled for release this fall. One of the hottest new electronic categories in recent years is the netbook computer. Small PCs, usually running low-powered processors give people the perfect portable computing solution. Unfortunately, most computer bag makers have not yet caught on to this fact and keep churning out larger notebook bags. 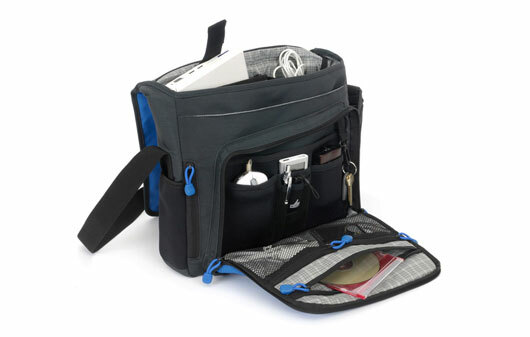 Skooba Design has released a solution for the netbook-toting masses with their Netbook Messenger Bag. Featuring a very small form-factor, measuring 14.5’L x 12’H x 3’D and weighing only 24.8 oz, at first glance you might think the bag was toy or a child’s bag. You would be wrong as, despite the bag’s small size, it can carry quite a number of items in its many pockets and pouches. In the main storage area, you will find a netbook storage pouch as well as a smaller pouch for your cables and AC adapters. In the netbook pouch, you can fit a netbook with a screen size of 10.1” to 10.5” inches. 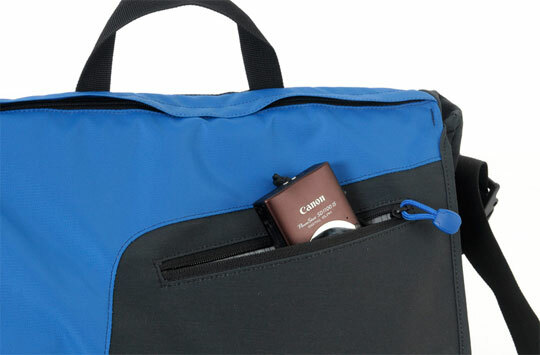 This bag is really designed for the smaller netbook, as larger netbooks and even small laptops will have to fit in the storage area that the two main pouches are housed in. Doing this, however, is not the way Skooba had designed the bag to be utilized and could result in unexpected events. I would like to have seen the netbook pouch be made of a stretchy neoprene material that would hold netbooks up to 13” inches in size. This extra room would have let most of the netbook marketplace use the bag comfortably. In front of the main storage area, you will find a slightly smaller storage pocket, useful for holding CDs, small file folders, etc. And, in the front of the unit under the front flap, you will find three small storage pouches perfect for computer mice, MP3 players, phones, or any other similarly-sized devices. Along with these three device pouches is a netted pouch for cables or whatever you like along with a larger, zippered pocket for other items of interest. Beyond this already-impressive mass of storage pockets, the bag still has some surprises in store for the user. On the front-flap of the bag you will find a small, zippered pocket useful for carrying one small electronic device such as MP3 player or small digital camera. On the side of the main storage area you will find an inconspicuous zipper leading to a pull-out water bottle pouch, and on the right side of the bag you will find a pouch useful for holding objects the size of a few pens or even a binaca tube – hey, at conventions like CES, clean breath is a MUST! Skooba even saw fit to put a thin pouch down the backside of the bag, perfect for the latest issue of your favorite geek or gaming magazine. Being that the bag allowed me to travel with a lot of light devices, such as voice recorders and my Zune, I felt very comfortable walking around the various halls of the 2010 CES, and found everything very easily when I needed to quickly access them. We will definitely be including the Netbook Messenger Bag in all of our event coverage from here on out. The Skooba Design Netbook Messenger Bag makes for a great place to store your small netbook computer for any need, whether it be school or even the Consumer Electronics Show where we took it. For a very economical $49.95, you will be hard-pressed to find a better bag for your small netbook computer. *DISCLOSURE: Skooba Design sent GamingShogun.com a Netbook Messenger Bag to review for this article. 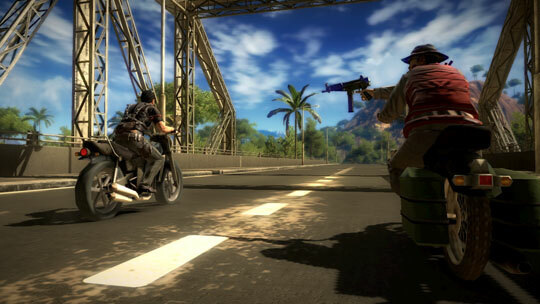 Square Enix and Avalanche Studios have released a brand-new trailer for their upcoming third-person actioner, Just Cause 2. 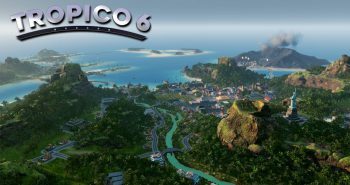 Just Cause 2 continues the story of Rico Rodriguez, this time bringing his own brand of freedom the island of Panau, which is under siege by dictatorial forces. 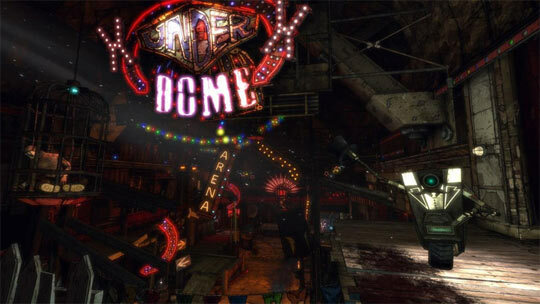 The game is due out March 23rd on the Xbox 360, PS3, and PC platforms. 2K Games has announced that it’s second DLC pack for Borderlands, called Mad Moxxi’s Underdome Riot, has been released on the PlayStation Network and PC platforms today. 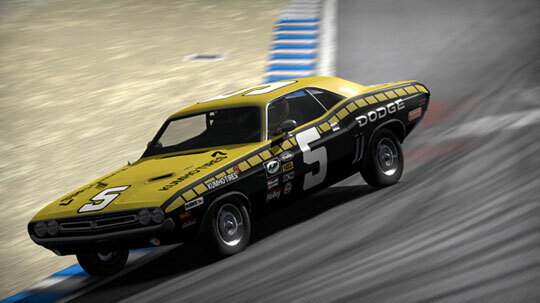 It retails for $9.99 and brings a whole slew of new arena challenges to players – not to mention a ton of new loot! In a final goodbye, some former-Pandemic Studios employees recorded this video in the style of the famous ‘printer’ scene from Office Space. Electronic Arts has announced that the Team Racing Pack for Need for Speed SHIFT will be released on December 1st for FREE. 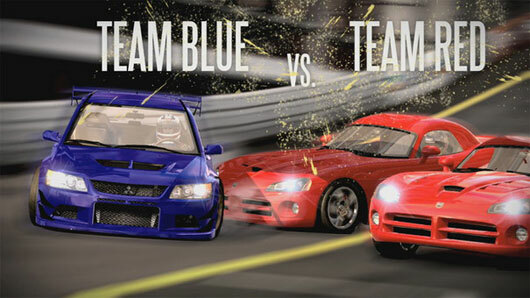 The pack will allow gamers to form race teams and compete against other teams. 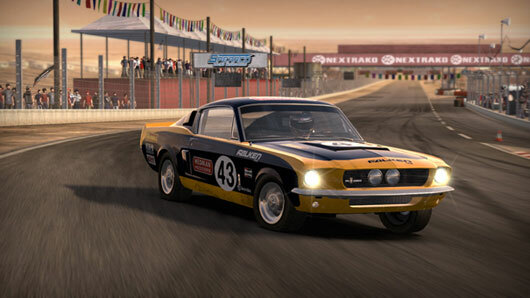 The Team Racing Pack also includes a host of new vehicles, including the 1967 Shelby GT500, 1967 Chevrolet Corvette Stingray, and 1969 Dodge Charger R/T. 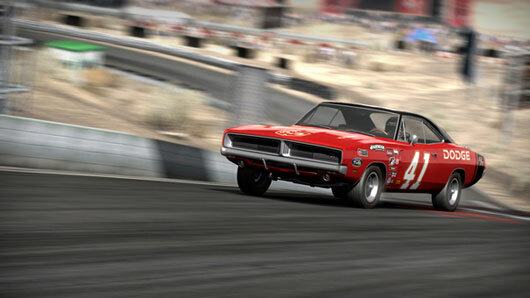 Check out some screenshots of the new vehicles, After the Break!